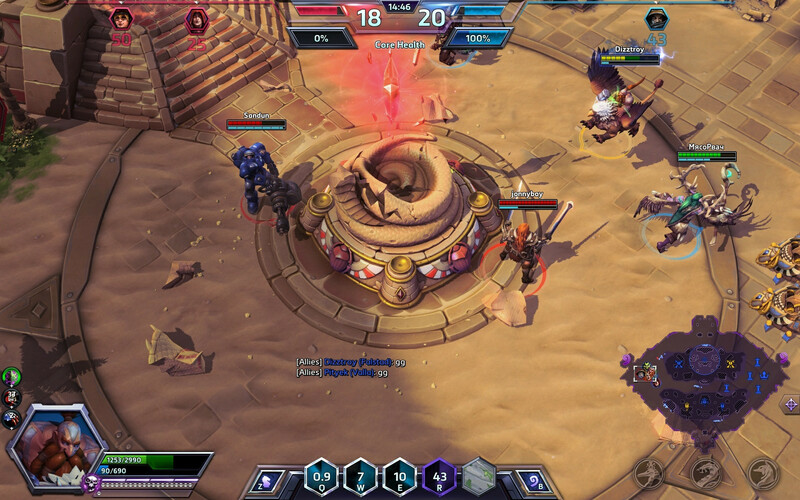 I play Heroes of the Storm since Christmas 2014 and I love it. Falstad is one of the heroes I love, because his burst is insane, he can get anywhere on the map when you need him and you can harras the enemy like a madman. This guide is a Work In Progress, sice I never every made one before but I love to share what I like about Falstad as well the experience I had so far. When I'm able to make a gameplay I'll upload one for sure. Back in fight - After taken down, you can quickly get into a fight with flight and help out your team. Ranged dps - Be carefull against ranged dps like Zagara, late game she'll own you. Escape - Barrel Roll seems nice, but use it wisely, not too early, not too late and depending what enemy is chasing you. Also, 5 second out of combat before max mount speed can be frustrating in situations. Falstad is a beast when it comes to quickly taking out enemy heroes. His Flight takes you everywhere your team needs you as well taking control of the map. Especially when it comes to "Blackhearts Bay", "Dragon Shire" en the "Sky Temple". With this build you focus on single target damage. At first we take "Seasoned Marksman", which comes handy on later levels as you'll have more auto attack damage then other heroes. "Vampiric Assault" is what you need to win a 1vs1 fight with another high damage hero, like: "Valla", "Illidan" or taking out even "Raynor" when he heals 50% when almost taken down. "Secret Weapon" is a must in this build. This is because the basic attack deal 80% more damage, and in the game this makes you at max lvl do 3x 530+ damage after each other with a whopping total of almost 2k in 2 seconds. Now understand, that when taking "Seasoned Marksman" will have serious effect together with this talent. About the ult, nothing else then "Hinterland Blast" will shred the last pieces of your enemy when he tries to flee or you are close to die. The cool thing about this ult is the sound, BOEM and when a message comes up you killed more heroes on a row.... you feel EPIC!! At least, but now last, you take "Hammer Time", that stun is nice, makes your victim not attack for alomost a brief second but also in teamfights your mates will make butter of one that got stunned. Well the last talent.. I don't have to explain that. I'm not saying I play this Hero like a master, but with all the games I played and tried out some skill order, I found this one devestating. You engage with this, they don't expect you do that because it would be logical to slow first and then attack. But hey, I like breaking logical gameplay. Besides that, you don't start a burst, because they will flee instandly. So take it slow, peel some, then we do serious damage. ( optional ) If they flee, barrel roll, why, because Lightning Rod active will be in range and peel off health from your victim some more. Now you slow them, have your hammer out, do some 80% damage (max level 530+ 3 times) with auto attacks. Finish them off. If they are still full health, auto attack, E and W them some more until you think you can snipe your victim =). Focus on 1 target, get into range and activate "Lightning Rod"
If the enemy tries to escape, use "Barrel Roll", if not, activate "hammerang"
This talent kicks in, focus auto attack only, this will do 3 AA with 500+ damage in combination with "Seasoned Marksman". Sky temple, killing spree - Devastated the enemy team like madman. Notice the killing spree bar which started the 2nd row of skulls.